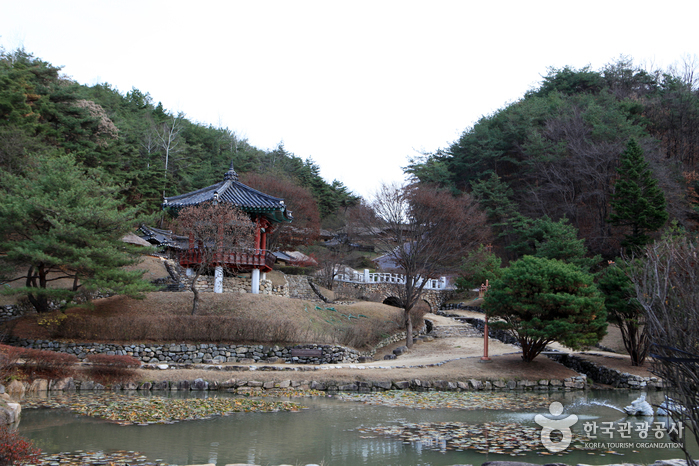 Local City Bus: From Andong Intercity Bus Terminal, take city bus No. 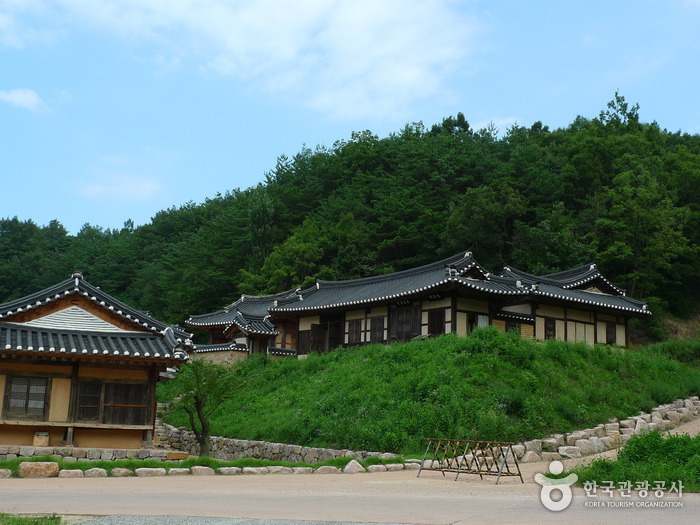 3 headed for Andong Dam. 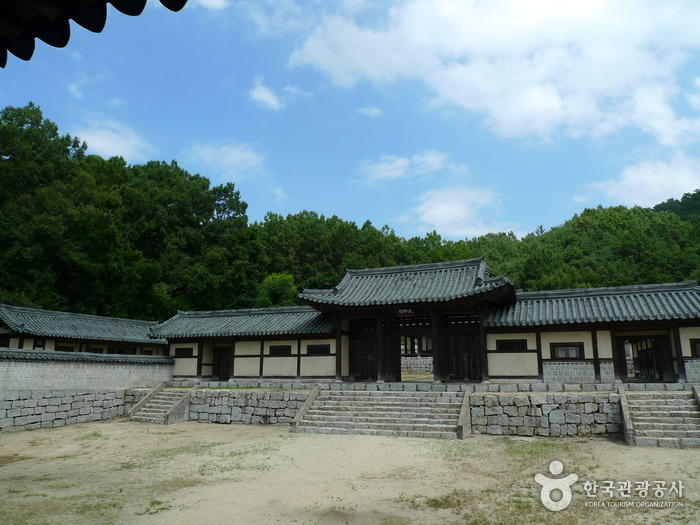 Get off at Andong Folk Museum (15 min ride). 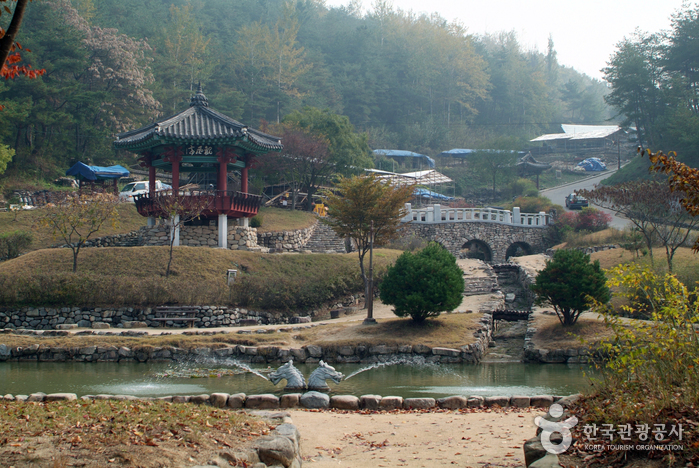 Taxi: Takes 10 min from Andong Station. 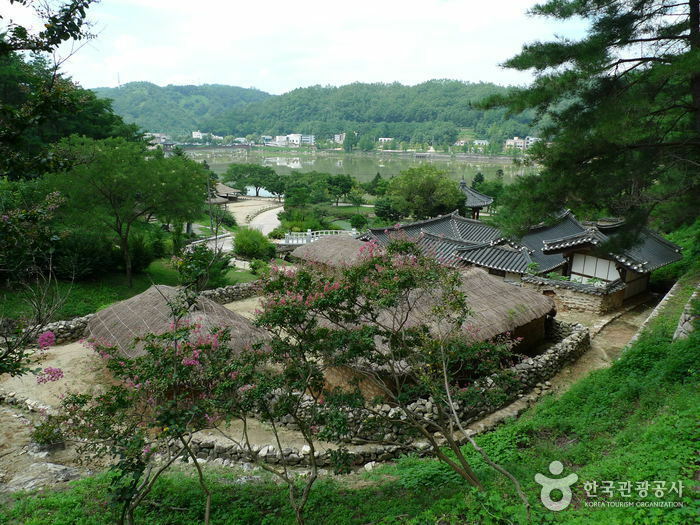 On the other side of the subsidiary dam of Andong Dam, thatched houses can be sparsely seen on a hilltop. 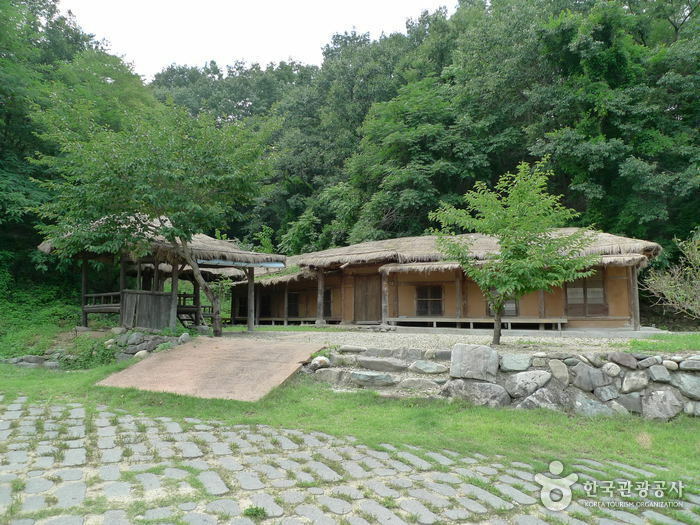 The area is the folk scene site where an outdoor museum is built. 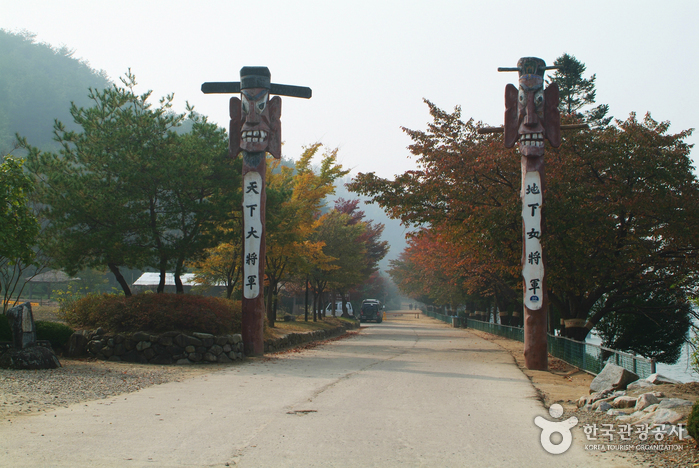 At the entrance of the outdoor museum two jangseungs (traditional Korean totem poles) are set, followed by a monument inscribed with the poem of famous Andong poet and democracy activist, Lee Yuk-sa. 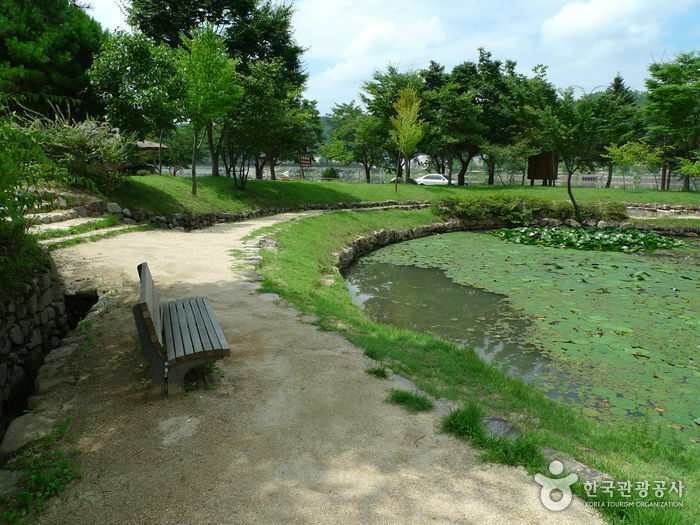 On the monument, his noted works “Gwangya” (Wild Plain) is carved. 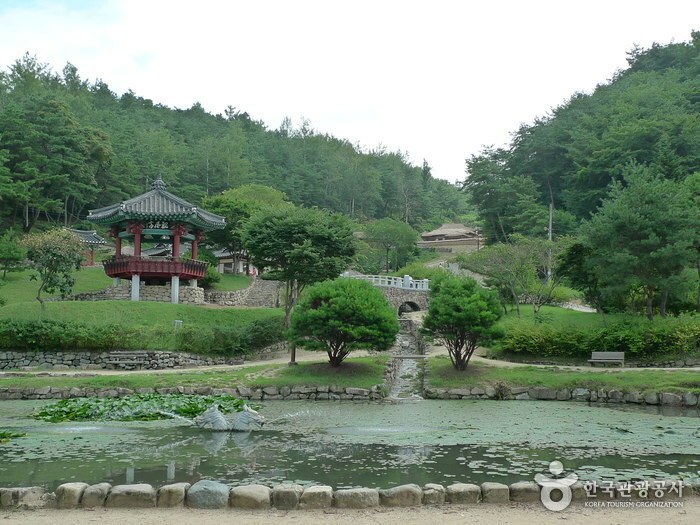 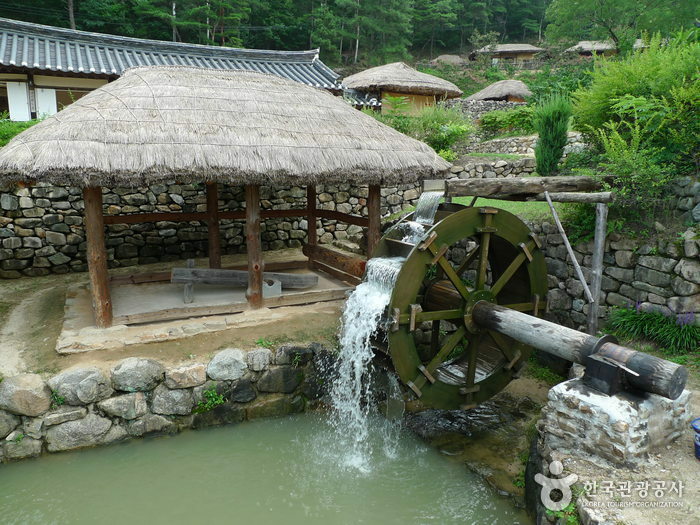 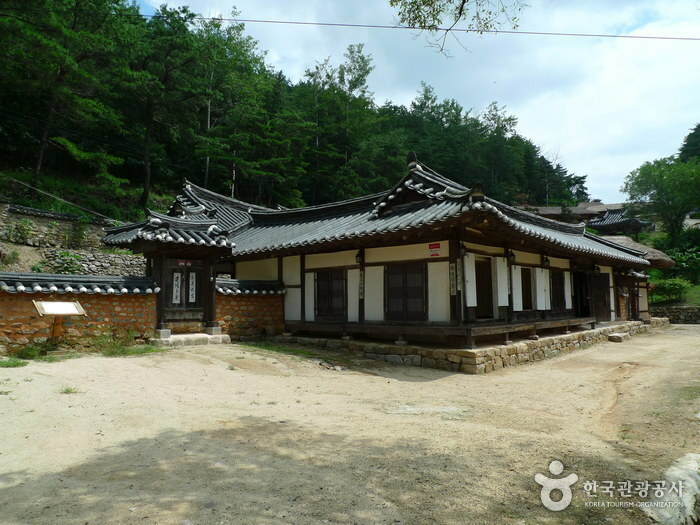 Near the Dam, are the Andong Folk Village, Andong Museum, Lee Yuk-sa Monument, a filming site of “Taejo Wanggeon,” and Andongho Lake.